Julian graduated from Aberystwyth University College of Wales in 1982 and was called to the Bar by Gray’s Inn in 1984. He has been a member of St John’s Buildings Chester (formerly White Friars Chambers) since 1985 when he completed his pupillage under Maurice Kay (now Sir Maurice Kay V-C). His civil practice covers all aspects of civil law, particularly property disputes involving easements, cases involving farms and agricultural holdings and trusts issues. He is also frequently instructed in high value multi-track personal injury and clinical negligence matters. Julian also has a busy family practice. He acts in all aspects of family law but specialises particularly in ancillary relief, with an emphasis on high-value cases, cases involving concealment and dissipation of matrimonial assets and cases with trusts or pensions issues. He has been a Recorder since 2004 and was appointed Treasury Counsel in 2005. He is a member of the Family Law Bar Association and the Personal Injury Bar Association, and is also qualified to accept Direct Public Access work. The majority of Julian’s family practice is in the field of financial provision on divorce. He is regularly instructed in big money cases, particularly those involving family business, trusts and issues relating to farms and agriculture. He is a recognised expert in cases involving pensions and issues arising from a party’s bankruptcy, and has presented seminars on these subjects in the past. Julian’s trusts expertise and extensive experience in TOLATA cases means that he is ideally placed to advise in respect of complex matters relating to equitable title to shared homes, and a significant percentage of his practice relates to such matters. His ‘money’ practice regularly finds him acting in matters where the assets comfortably exceed £1 million in value, and he has extensive experience of cases involving an international element, applications under Schedule 1 of the Children Act 1989, litigants seeking to subvert the legal process and cases involving hidden assets. His attention to detail and mastery of his brief as well as his personable manner with clients has earned him a strong reputation as one of the leading junior barristers in the North West in this area. Julian enjoys a broad civil practice with a particular emphasis on Chancery law. He is frequently instructed in property matters, ranging from boundary disputes and cases involving easements to issues involving agricultural holdings and tenancies. Recent cases have included substantial multi-party disputes over rights of way, cases involving serious trespass to land and the assertion and enforcement of prescriptive rights including rights to light. He has vast experience of trusts matters, encompassing cases arising under the Inheritance Act 1975 and the Trusts of Land and Appointment of Trustees Act 1996 (TOLATA), as well as matters involving resulting and constructive trusts, equitable and restitutionary remedies, applications relating to the construction of wills and issues arising from breaches of trust by trustees. He also acts frequently in wills and probate cases, particularly those involving contentious probate issues or removal of executors. Julian has recently delivered well-received talks on issues arising under TOLATA and on litigating right to light claims to solicitors. 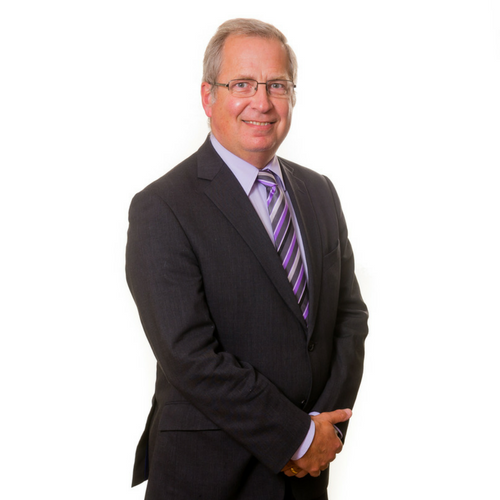 Julian is regularly instructed in personal injury and professional negligence matters, and has acted in a number of very high value multi-track personal injury cases. The majority of his work is on behalf of Claimants, though he was also preferred defence counsel to the Welsh Office’s in-house clinical negligence department prior to the advent of the Welsh Assembly. He frequently drafts pleadings and conducts trials in clinical negligence cases, and is frequently asked to advise, draft schedules of loss and attend joint settlement meetings in all areas of personal injury litigation. A significant proportion of Julian’s caseload in this area has a value of £250,000 to in excess of £1 million. Julian also regularly undertakes professional negligence cases, with a particular emphasis on solicitors’ negligence and negligent advice by conveyancers, architects and surveyors. Current ongoing cases involve a claim arising from negligent advice by valuation agents, claims relating to negligent management of financial investments and misselling of investment products, and a number of cases involving defective structural surveys or architects’ negligence.